Our collection of limo services include Corporate Car Services, Corporate Livery Car Services all will work nicely when renting with Dial A Limo. We can offer you VIP Limo Services in Toronto along with other Toronto Limo Services such as Toronto Corporate Car Services and Toronto Corporate Livery Car Service. We feature a collection of limo fleet including SUVs such as Chevrolet Suburbans, Denalis, and Shuttle Buses in Toronto that will provide you with the executive car services that you are looking for in Toronto. Our executive limousine services include offering cottage country limousine runs, a definite upgrade from reserving a bus to drive you up to your cottage. Our VIP ground transportation services are great for executives in Toronto looking to get around with professional limousine services. We also provide you with Toronto limousine services and speciality limo services in Toronto and throughout the GTA including casino limousine rides and night out limousine services. Let us enhance your night out or casino day trip with our professional limousines and limousine chauffeurs who will show you a great time with limo services in Toronto. 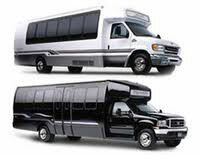 Contact us today in Toronto for your airport limousine services. You can reach us at (416) 967-5466 and speak with one of our representatives who will be happy to assist you with all the right type of limousine services in Toronto. We will be able to reserve the right type of limousine for you for the right type of Toronto limo service, such as airport limousine services in Toronto and executive limo fleet services as well.